I usually don't talk much about myself outside of my role as Mother on Navagating. However, after nearly two years blogging I feel like broadening the scope a little. 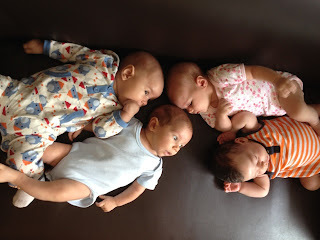 Since Nava's birth I became a mom and I've also become a birth doula. Oppertuities to doula are very limited here in Vientiane as the women likely to know about doulas and actually want one don't birth here. They go to Bangkok; they go home; they go to Bali (okay, really only I did that last one). So it's kinda hard to doula in the normal sense. So I've been working on the other ways new mothers need support. As I shared in my story of breastfeeding Nava, there is little to no support for lactation here in Vientiane. So I'm working on changing that one little step at a time. Mothers of 1, 2 and 4 with babies 3, 2, and 1 month(s) old! 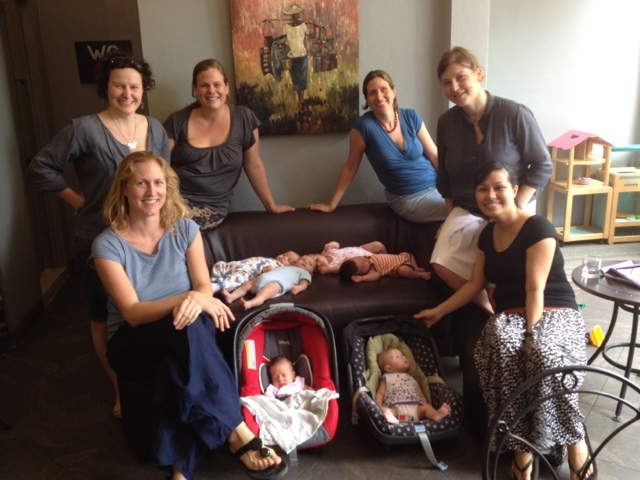 This was the first 'official' meeting of the Vientiane nursing mother's coffee klatch. I hope this group will grow into a longstanding line of support for mothers in Vientiane. I really hope to find some way to grow it out into the local Lao community too. I'm not sure how just yet but I think I need to be patient and let it organically take shape so it sticks for the long term. I'm so excited that something has started! It definitely helps that we've had what one of my FB friends termed a "baby blizzard" here in the last couple of months. Loka was the oldest!